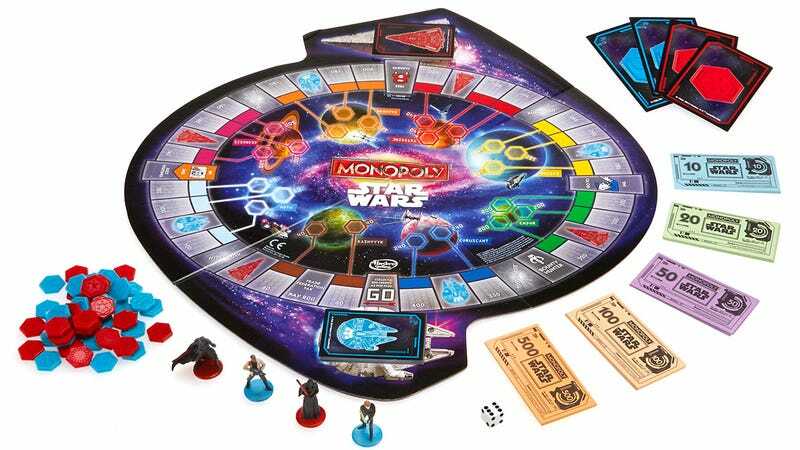 It certainly isn’t the first Star Wars-themed version of Monopoly, but Hasbro’s latest edition is the first to ditch that classic square board. In its place is a round-shaped board that has players trying to build bases on a variety of different planets instead of buying up fancy properties. In the original version of Monopoly players build houses and hotels on hotspots like Boardwalk and Park Place in an attempt to bankrupt their fellow players who have to keep paying rent depending on where they land on the board. But in Monopoly: Star Wars Edition players are instead trying to establish a base on as many planets in the tiny galaxy as possible.